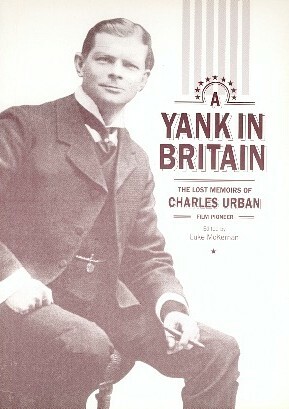 Charles Urban's name is mentioned in many film reference works, usually only in connection with Kinemacolor, and seldom in any depth. These are some of the main publications that each deal with aspects of his career and in many cases provided information for this website. A huge number of articles were written about Urban in his day, and a great many of these are held in the Charles Urban papers held at the National Science and Media Museum (see below). Too few have been written subsequently. These are some of the most important, of which the most useful from a biographical point of view is the obituary in The Cine-Technician, while Natalie S. McIntosh provides the most interesting interview, and Richard Brown's paper is the most notable academic study. Charles Urban issued many film catalogues and other film and equipment lists. There is no complete listing, and those that survive are in various collection, though the majority are to be found among the Charles Urban papers (see Unpublished Sources below). This is a selective listing of catalogues, with locations. Those hyperlinked are available online. URB1 Letters and other documentation mostly relating to the exhibition of Kinemacolor. URB2 Programmes and press clippings relating to Kinemacolor programmes worldwide. URB3 Press cuttings and programmes relating to Kinemacolor. URB4 Papers relating to Urban's propaganda work during the First World War. URB7 Papers, patent specifications and court report relating to the Urban v Bioschemes court case 1913-1915. URB8 Papers, cuttings and photographs relating to Percy Smith. URB9 Papers on the history of colour cinematography. URB10 Film catalogues for Warwick Trading Company, Charles Urban Trading Company, Eclipse and Kineto. URB12 Programmes and promotional material relating to Kinemacolor and Kinekrom. URB13 Papers on the Spirograph. The original copy of the Charles Urban memoirs is also held by the National Science and Media Museum. My PhD thesis on Urban, 'Something More than a Mere Picture Show': Charles Urban and the Early Non-Fiction Film in Great Britain and America, 1897-1925 (2003) is available for consultation by researchers at Birkbeck, University of London. 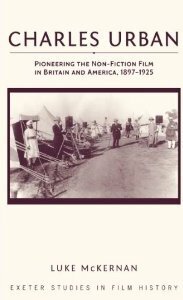 A revised version of the text (some content cut, some added) has been published as Charles Urban: Pioneering the Non-Fiction Film in Britain and America, 1897-1925 (Exter: University of Exeter Press, 2013). The surviving films of Charles Urban, which number several hundred titles, are (appropriately enough) distributed among film archives worldwide. Few film archives have put their catalogues online at present, but those listed below should be able to provide further information on their holdings of Urban films, and on early cinema in general. Easily the largest single collection of Urban films is that held by the BFI National Archive in London. The AFI acquired an Urban title in 1999, though details have now disappeared from their reorganised site. In the Will Day Collection, preserved by Les Archives du Film du CNC, there are a number of Charles Urban Trading Company titles, and one short Kinemacolor film, given the title A Highland Lassie. The BFI National Archive holds a substantial number of films from all parts of Urban's career, including productions by the Warwick Trading Company, the Charles Urban Trading Company, Kineto, the Natural Color Kinematograph Company, Eclipse and the Kineto Company of America. Three or four of these films include shots of Urban himself, who had the habit of appearing in a number of his non-fiction productions. The Archive holds a few Kinemacolor experiments made by G.A. Smith. The Archive also holds many original Urban catalogues. Bologna has the largest single collection of surviving Kinemacolor films, twenty-three titles, comprising two fiction films (The Vandal Outlaws and Choosing the Wallpaper), one reel from With Our King and Queen Through India (The Pageant Procession) and the remainder travelogues of Italy, Egypt and Britain, including some films made by the Italian company Comerio. A DVD featuring titles from the collection, with examples of other early colour films, was released in 2017, entitled Kinemacolor and Other Magic. The Cin�math�que has been central in the preservation of the Alan Roberts collection of early cinema titles (compiled by a New Zealand collector), which includes a number of fiction and non-fiction titles made by Urban's French company Eclipse. The Deutsche Kinemathek holds a number of Eclipse and Charles Urban Trading Company fiction films. Rochester has recently restored the 1913 Kinemacolor Company of America fiction film The Scarlet Letter. EYE holds a number of fiction titles made by Eclipse and the Kinemacolor film Coronation Drill at Reedham Orphanage (1911). The film archive of the Imperial War Museums preserves many of the British Official films of the First World War that Urban distributed in the USA. Among them are Urban's major production Britain Prepared, and the most celebrated actuality film of the war, The Battle of the Somme, which Urban edited, and which the IWM has made available on DVD. Urban films in the Library of Congress include titles in the Theodore Roosevelt Collection donated by Urban himself, and some Kineto Company of America titles. 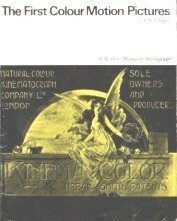 The Library also holds some Kinemacolor material, and recently took in the John E. Allen collection of films which contains an unknown number of Kinemacolor titles not previously identified as Kinemacolor, including the colour sequences from Britain Prepared and colour film of the Balkan war. The NARA holds Official War Review, the Committee on Public Information's propaganda newsreel of 1918 which Urban edited and printed, plus other British official war films whose distribution in the USA was managed by Urban. Krasnogorsk holds the film catalogued as a World War One military review which Adrian Wood of TWI identified as being a section from the Kinemacolor Delhi Durbar film while researching the television series The British Empire in Colour. For the addresses of other film archives, see FIAF, the International Federation of Film Archives.